Decorative switch plates fully customized in their materials, that overlap or ‘disappear’, revealing contrasts or camouflaging, according to the style and taste needed: the decorative switch plates adaptability is ideal in any case to match the house finishes, such as boiserie, parquet or furnishings. PLH Skin is defined by the possibility to combine to a solid aluminum or brass body, a wide choice of materials and treatments guaranteed by PLH’s selected companies and collaborating for the utmost aesthetic and qualitative performance of the product. 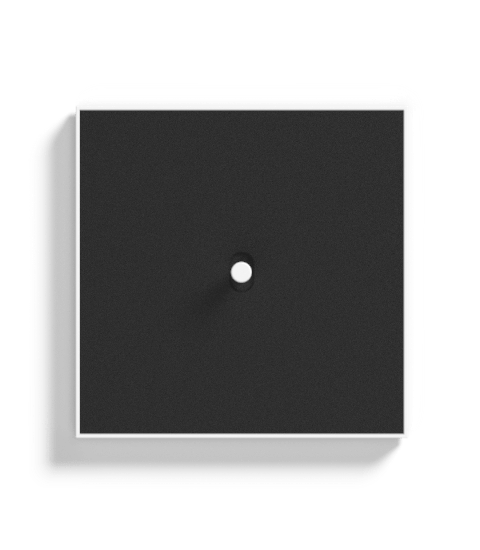 Available for international standard boxes in round, square, and multiple and rectangular forms, the decorative switch plates skin allows the use of normally open round, square buttons for low voltage systems or toggles for both low voltage and main tension. Design details make the difference and even PLH Skin s simple but yet designed in detail. The rear dangle: to mask the wall imperfections; component selection: tact style buttons with 500.000 cycles or lite-on terminal blocks; detail in the mounting system: easy and effective; Partner selection: every skin is a concentrate of craftsmanship. And then the addition of logos or icons in mechanical machining, laser engraving or UV printing, even in thickness, both on plaque and buttons. As color differentiation between buttons, levers and plaques allows you to make each piece unique and exclusive. 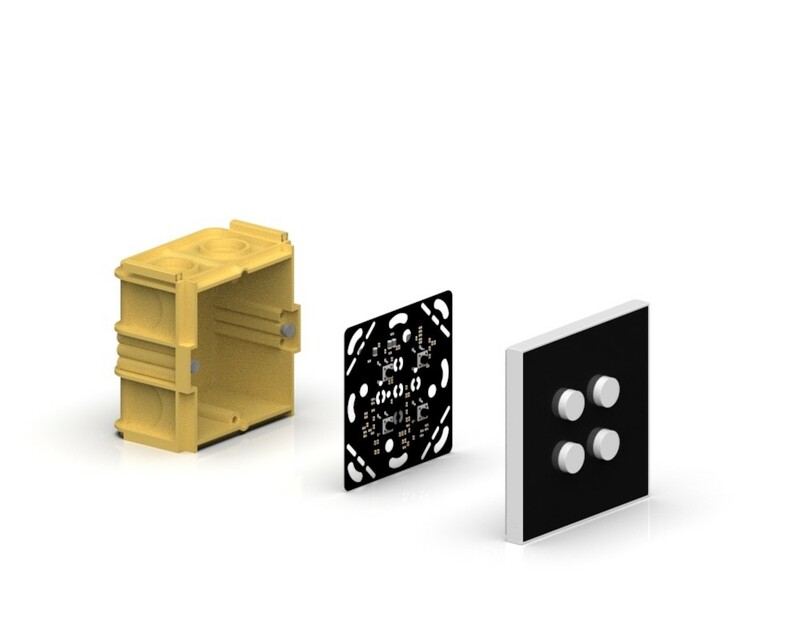 All the decorative switch plates are made from the solid of an aluminum plate 6060 or 6082, or brass, and made with single mechanical machining through CNC machines and delicate lamination processes. It has a thickness of 10 mm and dimensions between 81,0 and 211,5 mm and a frontal depression of 0,6 to 2,0 mm, which allows the insertion of different materials made by selected PLH Partners. PLH Skin keypads are based on easy-to-install electronic PCB board designed and developed to be compatible with all the standard boxes worldwide. 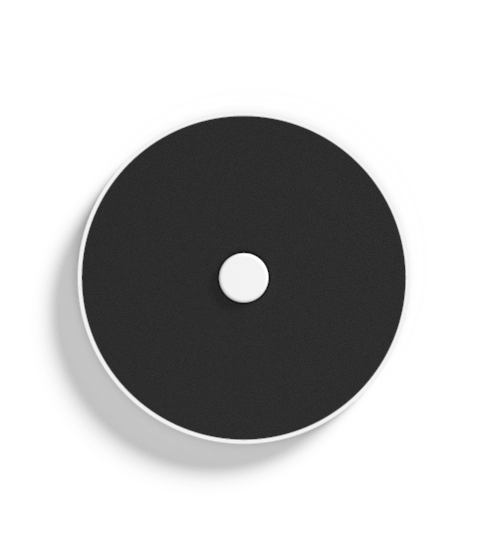 Tact type push buttons with 500,000 operations and push-in tool plugs are used, which allow connection of traditional systems via relays or home automation systems. Skin frames are the right addition to the range offered by PLH. PLH Skin frames are in fact compatible with BTicino LivingLight, the standard 55 mm standard German, including Berker, and Feller Edizio 2. PLH gives great value to keep the collaborations strong in order to ensure the best finishes and finishes on the materials you select and use. Over the years, PLH has selected some of the leading companies in every specific field, creating transversal partnerships, working closely with the research and development offices of the companies and often experimenting with new materials processing techniques. PLH Skin is characterized by the possibility of combining an aluminum or brass body with a wide choice of materials and treatments made on metal (aluminum, iron, brass, copper) materials; glass and mirror, leather, wood, technical fabrics, cement, wallpapers. The passion for materials is the distinctive feature of De Castelli, where the interest of the company focuses not only on the increasingly sophisticated workmanships but also and above all on the irreproachable quest for the very essence of iron and its derivatives. The materials reveal unexpected results, resulting in a variety of variants, which are the uniqueness of each product. 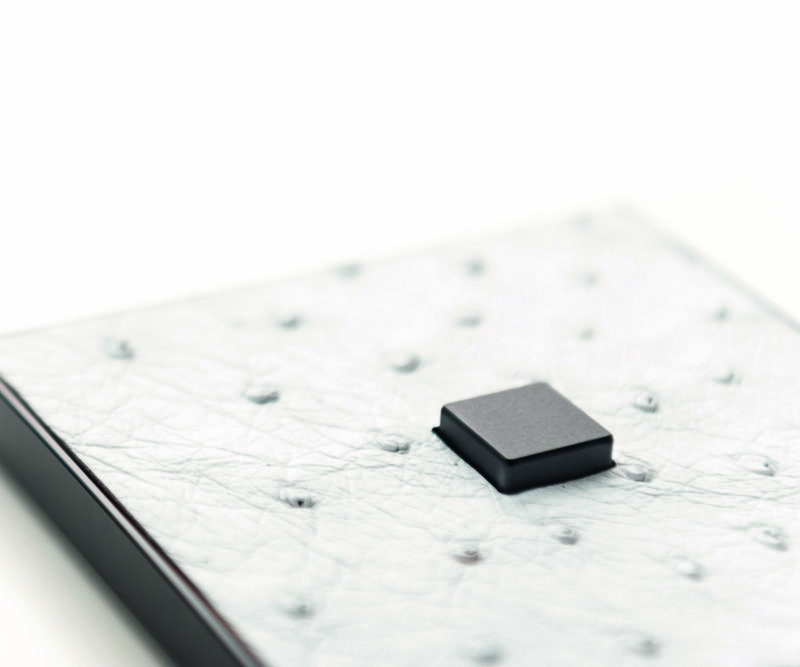 The switch plates of the PLH Skin De Castelli collection allow you to use all the De Castelli sample materials. Polyurethane, polyester and non-woven fabric characterize the Kvadrat materials that epic srl has selected for this collection. Selected coatings are: Alloy, Imprint, Minimal, Wafer, Scuba and Sudden – designed for Kvadrat by Maharam Design Studio, New York’s leading textile company – and Waterborn, designed by the Danish design firm Aggebo & Henriksen. 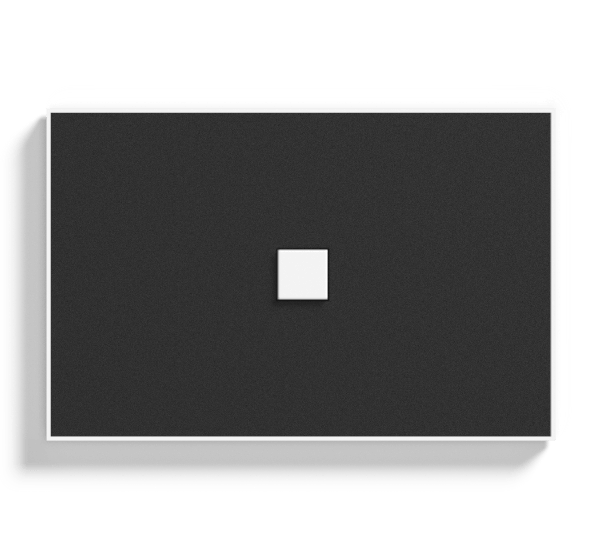 Switch plates of the PLH Skin Kvadrat collection are available on request in Kvadrat sample colors. 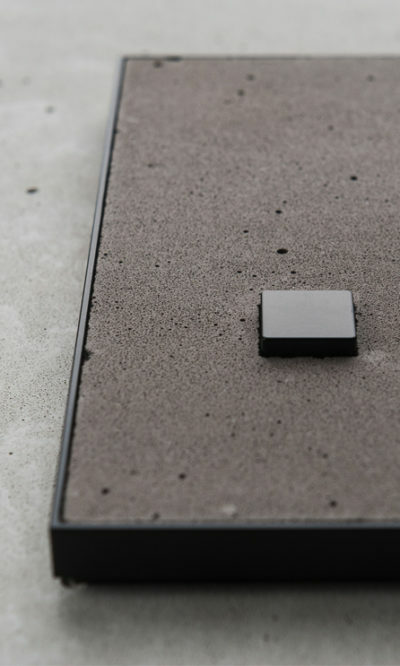 PLH Skin Cimento series uses the patented cementitious compound of SAI Industry, a young and dynamic company of the Province of Venice, to achieve the concrete effect directly on the surface of the switch plate in all its materiality and expressiveness. The coating, hand crafted in lab with cement pouring by hand , is made up of over 90% of a concrete and water base and natural elements. 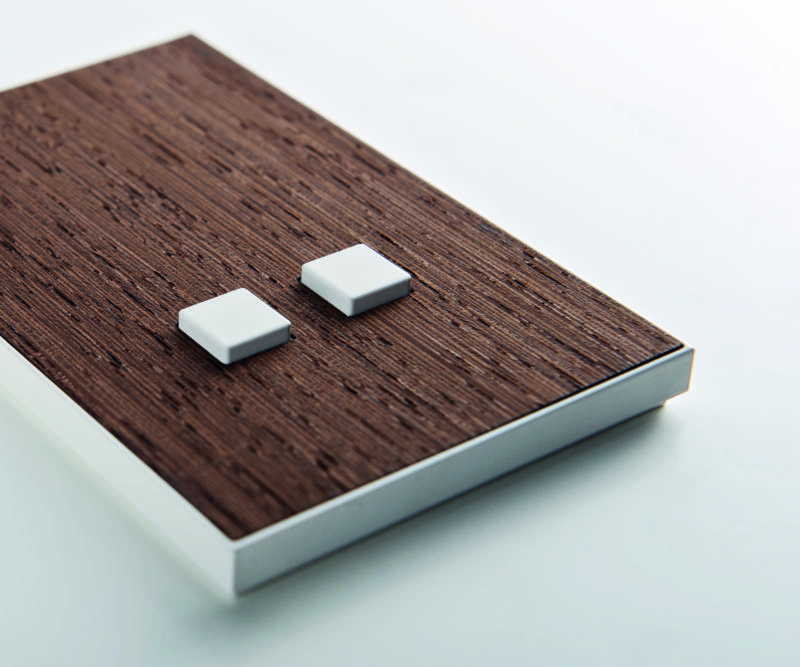 Switch plates from the PLH Skin Cimento collection allow you to use all the materials from the Cimento material catalog. The love for wood is at the heart of the Haute Material project, which from the very beginning was born with the idea of enhancing the raw material, respecting the story it encloses. The craftsmanship is done by craftsmen of Valtellina with an almost manic care for every detail. The woods are selected with skill and love, the hands that work them are guided by respect for the material and for the history it carries, respect and love that come from afar and which are the most obvious manifestation of the genius loci. Switch plates from the PLH Skin Haute Material collection are made on request and can include all Haute Material sample materials. PLJ’s Switches Skin Jannelli & Volpi collection originate from the idea of using the wall coverings of Jannelli & Volpi (the leading Italian company in the production of wallpaper), which become a real ‘skin’ covering the switches. With this elegant collection, you complete the offer of Jannelli & Volpi, that sees the switches covered by the same wallpaper that decorates the walls. These are customized switches, made by PLH on request, depending on the chosen lining for the home or just for the switches. Antique Mirror wanted to age the modern mirror, returning to that magic feeling that technical perfection has taken away, acting on the oxidation or the wise use of the black background, evoking the depths of a lake. Ancient wisdom and settled culture, combined with modern entrepreneurship, have allowed the advanced industrialization of a typically artistic activity in the heart of Tuscany. Switches from the PLH Skin Antique Mirror collection are made on request and can include all mirrors of the Antique Mirror production.